When you see some riders you have to wonder how they are able to ride the way they do. Some ride along looking like the hunch back of Notre Dame while others ride with their toes so pointed, they look like they're auditioning for a role in Swan Lake. "The underlying principle of positioning a cyclist on a bicycle is to remember that the bicycle is adjustable, and the cyclist is adaptable." (Burke 1994). This has formed the cornerstone of my fitting philosophy ever since. The principles from this quote can be applied to many situations. 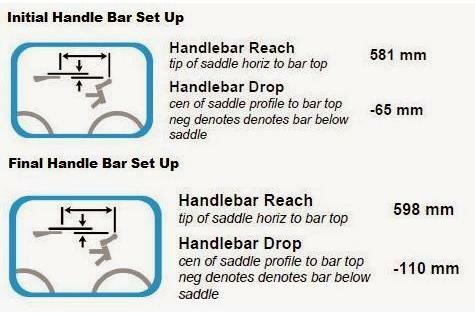 If a rider's bike is incorrectly set up, the body will adapt to try and interact with the contact points. Often this leads to the body making compromises to make the position work (e.g. dropping the heels to extend the knee when the saddle's too low, flexing the spine to shorten the body on a bike that has too short a cockpit). Additionally, everyday life can also cause the body to adapt in sub optimal ways. For example, extended periods sitting can cause hip flexors to become short and tight. While it is possible to ride with these imbalances, the potential to produce power may be reduced and the likelihood of injury is increased. A bike fit can adjust the bike's contact points to work around these adaptations but that is only 50% of the puzzle and simply adjusting the bike to a rider's compromised biomechanics reinforces these incorrect movement patterns that have been ingrained over many thousands of pedal revolutions. However, adjusting the bike set up to the "biomechanically optimal position" does not mean that the rider's body will instantly adapt and move in an optimal way. 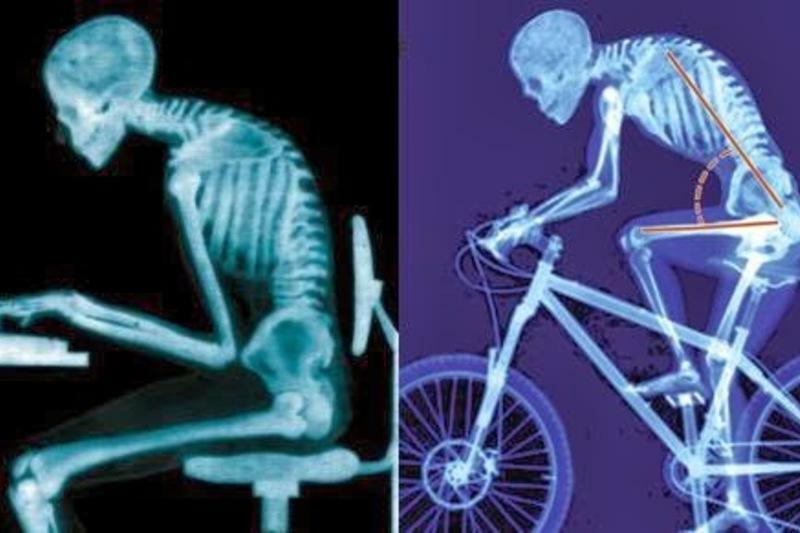 On the contrary, they will still try and ride in the same posture as before. However, through specific stretches and exercises the adaption process can be sped up, increasing power and efficiency while reducing injury risk. This is where Bespoke's Body Fit sessions step in. 1) Muscular Restrictions and Activation: This session focuses on stretches and off bike exercises to release muscular restrictions and activate chronically inhibited muscles to fast track future sessions. 2) Pedalling Technique: This session teaches off bike exercises and breaks the pedal stroke down to teach it a quarter at a time. It focuses on activating the correct muscles at the correct time before linking the quarters back into a complete pedal cycle. 3) Posture and Core Activation: This session combines on and off bike exercises to teach good riding posture and core stabilization. 4) Bringing It All Together: This session teaches off bike exercises to combine lower and core stability together and shows how to apply them on the bike. Stuart came to Bespoke wanting to buy a Pinarello Dogma. The Dogma is an awesome performance machine but the geometries are long and low. 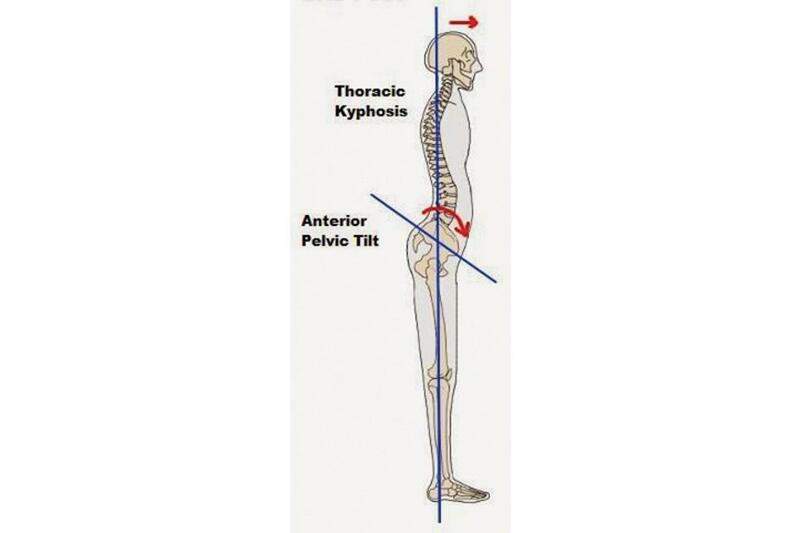 Stuart had very tight hip flexors which caused an anterior pelvic tilt. This reduced the range that was available for the leg to come up over the top of the pedal stroke. Stuart's body had adapted to this by rotating his pelvis backwards allowing him to clear the top of the pedal stroke without hitting the end of range. In addition to this, Stuart was very weak in the extensor muscles in his upper back causing him to slouch on the bike, dropping his body weight through his hands. 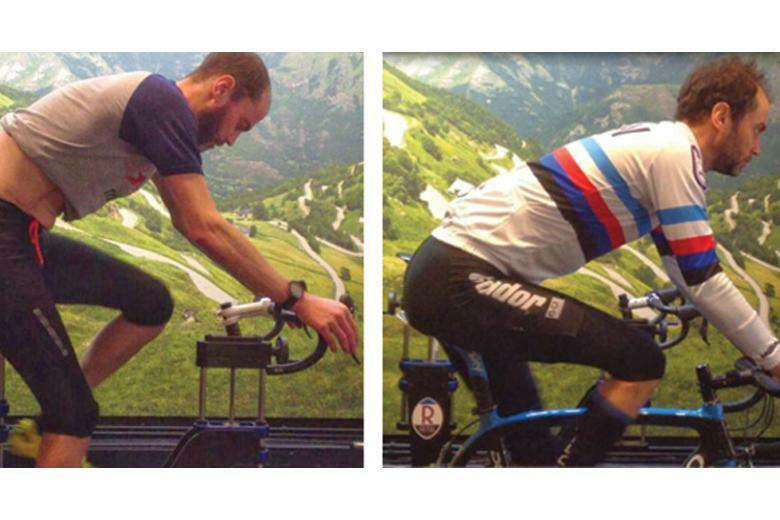 Finally, Stuart had very poor strength and activation in his glutes and was relying on his quads to drive the pedals. All this meant that to achieve a viable position on a Dogma, we needed maximum spacers and a short and inverted stem. This looked terrible and Stuart wanted to know what he could do to get the bike looking the way he wanted it to. We progressed Stuart through the four Body Fit sessions and Stuart's body adapted very well during this process. On completion of the final session we conducted a refit and we were able to drop the bars 5.5cm and extend them out nearly 2cm. And all this over just a 3-month period. Stuart is now able to hold a long neutral spine posture comfortably for over 100 miles while producing much more power from the increased glute activation. Stuart is my shining example of what can be achieved when someone follows advice to the letter. Body Fit sessions take 30-45 minutes and cost £50 per session and we suggest that at least four sessions are required over the course of 2-3 months to make significant changes. However, we are so confident that these will make significant changes to your riding style, we will offer a follow up fit (£100) completely free of charge when booking a block of 4 sessions. For more information or to book a session, contact any of the shops or email us.